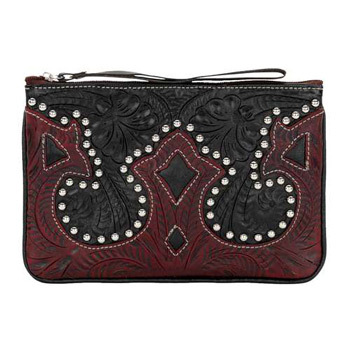 The beautiful combination of distressed crimson and black leather will catch your eye on this versatile accessory case from American West. 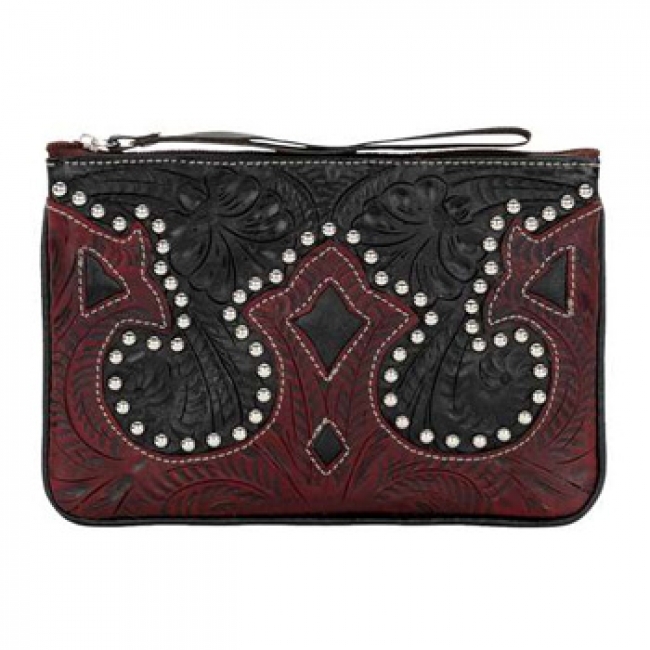 The same hand-tooled, vegetable tanned leather that you love in all of their bags and wallets now comes to you in this useful travel case. Each case zippers closed and has padding on all sides for extra protection, as well as a zippered back pocket for anything else you need to store. Fits e-readers or other accessories, and comes with a strap to wrap around your wrist. Size: 8. 1/2" x 5 1/2"